This large pearl (diameter 14 mm) is processed to a beautiful and very original pendant. It was decorated in its homeland Polynesia by local artisans all around with carvings in tattoo style. 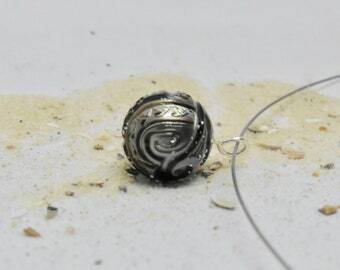 The deep carvings are very carefully executed and make this pearl a small work of art. The small white dots on the photos are tiny grains of sand from the decoration and by no means flaws, the pearl is flawless. It is perfect round with a diameter of 14 mm. 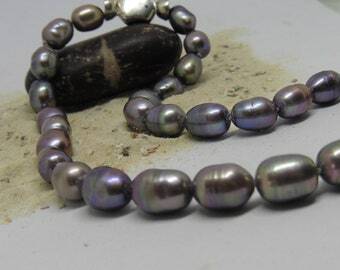 The colour is a grey-olive green typical of Tahitian pearls. The pearl has a silver eyelet and hangs on a thin silicone-covered jewelry wire. 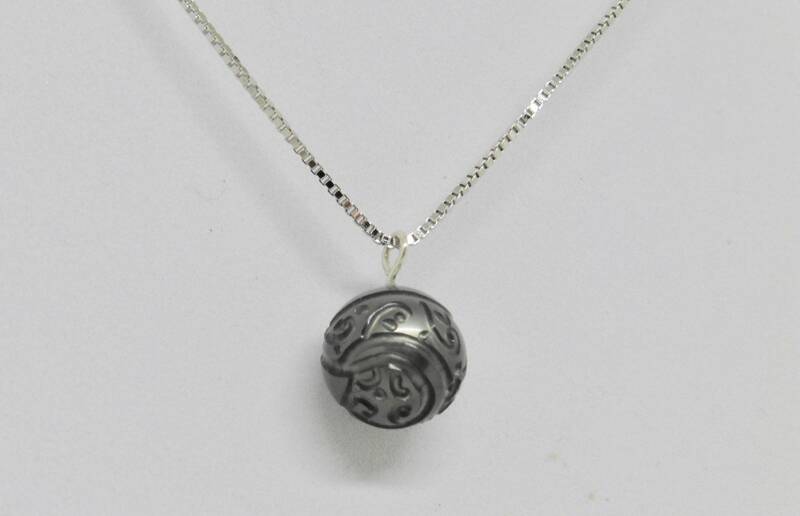 It can also be purchased with a thin sterling silver chain, please note the options.